One of the pleasures of the Christmas holiday season is gathering together with family and friends…over food, right? And yet we all know how difficult it can be to not be tempted to either overeat, or eat things that are not the best for our health. 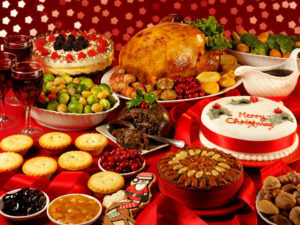 However, we can maintain our healthy eating habits while at the same time enjoying the delicious-ness of the holidays, by simply planning ahead a little. There are more – see the rest of the ideas that they recommend for maintaining your healthy eating habits while at the same time enjoying the delicious-ness of the holidays.